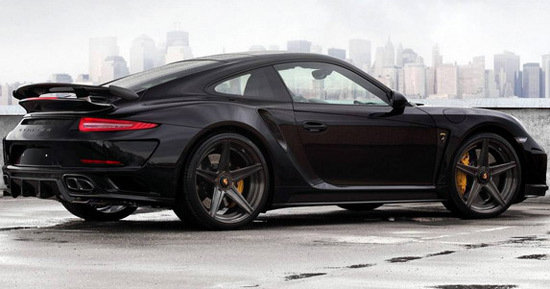 On the pictures is Porsche 911 Turbo, which has received Stinger GTR package from tuning house TOPCAR. 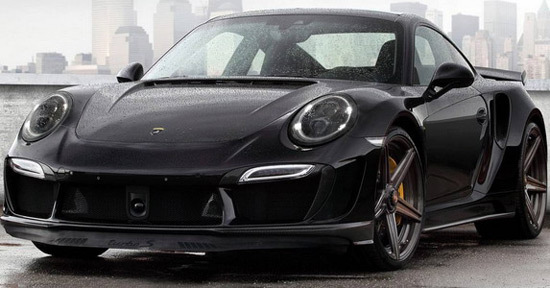 In short, aero body kit includes new front and rear bumper, striking thresholds, new hood, rear diffuser and larger rear spoiler, and any more than that will look funny on already aggressive Porsche model. The offer also includes a new five-spoke ADV5 MV2 SL wheels, and it should be noted that this black copy on the images is second of a total of 25 planned. The TOPCAR Stinger GTR kit will cost you €34,800($39,000) but that doesn’t include all the optional extras such as the installation, paint, logos, exhaust tips and much more. 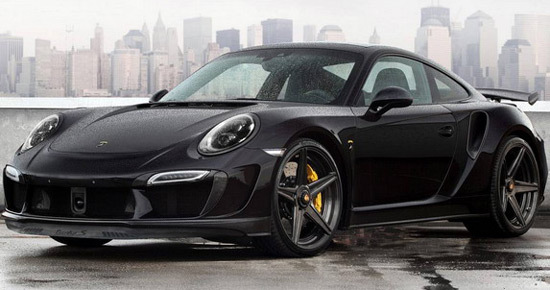 You also get an extra 60Hp and 130 Nm of torque, which is enough for acceleration from 0-60mph in under 3 seconds.